PHOENIX – Arizona teenagers pursuing a driver instruction permit will be able to take the written drivers’ test online beginning Monday, March 5. The Arizona Department of Transportation Motor Vehicle Division is introducing the Permit Test @ Home available to parents by setting up a free personal AZ MVD Now account, which is accessed through ServiceArizona.com. Potential drivers will still be required to pass a road skills test prior to receiving a driver license, and all permit holders must drive with a licensed driver in the front seat. “Online testing is commonplace for things such as college courses and professional certifications, so having the Permit Test @ Home is a modern and convenient way for MVD to serve our customers,” said MVD Stakeholder Relations Manager Jennifer Bowser-Richards. Online practice tests have been available at www.azdot.gov/practice for a number of years, allowing students to familiarize themselves with the questions and become better informed about traffic laws and procedures. The Permit Test @ Home expands that to the actual test by establishing a secure proctoring method in which parents log into AZ MVD Now to establish an account using their driver license or ID card. The Permit Test @ Home requires a $7 application fee, which is the same fee applicable to office visits. Teens will have three attempts to pass the test within 12 months. PHOENIX – Heading to Arizona’s high country this weekend to ski, sled and have snowball fights? Make sure you leave prepared to spend extended time in winter conditions, and please don’t park along highways. Highway shoulders are for emergencies only. Along with the threat of another driver hitting your vehicle on a shoulder and the possibility that an emergency vehicle or snowplow will need to use the shoulder, consider the following if tempted to park along a highway to play in the snow. ADOT plows can throw snow and ice up to 30 feet off roadways. It’s much safer to re-enter highways from on-ramps and other designated entrances. ADOT has placed signs between mileposts 220-229 of US 180 northwest of Flagstaff warning drivers not to park on shoulders unless it’s an emergency. Heavy traffic around popular snow-play areas can lead to delays. For those seeking snow along US 180, it can take 90 minutes or longer to get back to Flagstaff at day’s end. Once in Flagstaff, those heading south on Interstate 17 can save time by following signs to the Interstate 40/Butler Avenue interchange, then driving west to I-17. Information on snow-play areas around Flagstaff is available at flagstaffarizona.org or 1.844.256.SNOW. Wherever you may be traveling this weekend in Arizona’s high country, prepare for the possibility of delays caused by crashes or heavy traffic. Pack an emergency kit with items like extra blankets, warm clothes, food and water, healthy snacks, cat litter or sand for traction, and a first-aid kit. Make sure your gas tank is at least three-quarters full and take along a fully charged cellphone. Prepare your vehicle as well by ensuring that your wipers, window defroster, headlights, taillights, brake lights and turn signals work. Visit azdot.gov/KnowSnow for more tips on driving in winter weather. To stay up-to-date with the latest highway conditions around the state, visit the ADOT Traveler Information Center at az511.gov or call 511. ADOT’s Twitter (@ArizonaDOT) and Facebook page (/AZDOT) are excellent sources of information and interaction. When a freeway closure or other major traffic event occurs, our free app available at ADOTAlerts.com will send critical information directly to app users in affected areas – where possible, in advance of alternate routes. 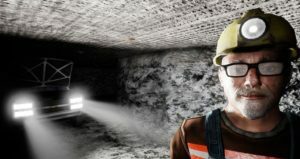 ARLINGTON, VA – The U.S. Department of Labor’s Mine Safety and Health Administration (MSHA) has initiated the deployment of a Mobile Inspection Application System (Mobile IAS) to further enhance the efficiency and effectiveness of mine inspectors and to better carry out MSHA’s core mission of promoting the health and safety of America’s miners. Nearly 1,500 federal mine inspectors across the nation and enforcement staff will benefit from this new technology. The Mobile IAS replaces an 18-year-old system that required mine inspectors to carry bulky laptops, cameras, reference material, and documentation from previous inspections. The new Mobile IAS integrates all of these features into one application to provide the latest technologies that securely store and transfer data, while improving ease of use. · A Windows-based, lightweight, semi-ruggedized tablet with a camera, video, voice recording, touch screen, digital pen, Bluetooth, and Wi-Fi capability to facilitate data capture and streamline the inspection process. · An application built on Microsoft’s Universal Windows platform with photo capture and fillable, pre-populated forms. · Service-oriented architecture for efficient data transfer among devices and the MSHA Standardized Information System. PHOENIX – Are you punny? A connoisseur of dad jokes? Is snark a second language? Maybe you’re simply serious about traffic safety? If so, we want you to put your skills to good use and encourage safe driving by entering the Arizona Department of Transportation’s Safety Message Contest. Back for the second year in a row, safety messages can be submitted at azdot.gov/signcontest through Feb. 26. Contestants have plenty to live up after last year’s contest generated nearly 7,000 entries. ADOT displays quirky traffic safety messages, which often are related to current events and pop culture, as part of an effort to encourage drivers to change their actions behind the wheel. More than 90 percent of vehicle crashes are caused by driver decisions, such as speeding, driving aggressively, distracted or impaired. · The message must relate to traffic safety. · Signs accommodate three lines and 18 characters, including spaces, per line. · #Hashtags, phone numbers and website addresses are not allowed. After entries have been submitted, ADOT will select 15 finalists. The public will then vote for their favorites and the two messages that receive the most votes will appear on overhead signs above Arizona state highways. Pima County Department of Environmental Quality is now using Digital Opacity Imaging to determine dust levels on construction sites, following the lead set by the Arizona Department of Environmental Quality. Digital Opacity Camera Systems (DOCS) is a simple and accessible way to quickly and accurately measure the amount emissions in the air. 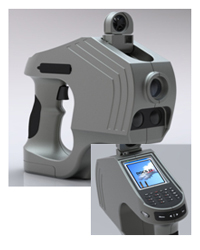 With any digital camera, PDEQ can take a picture of a job site and send it off for analysis. 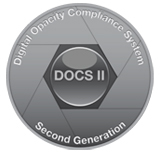 DOC S II’s patented algorithms, enables the amount of air pollution to be determined from common digital imagery. DOCS II interprets the opacity and particulate content from the digital image, which can then be extrapolated into the health effects and environmental impacts of the air pollution. an’s office. 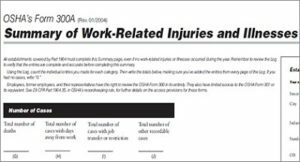 This new ordinance went into effect on June 1, 2017. This means that drivers are not allowed to hold a phone or other electronic device while operating a motor vehicle on a street or highway within Pima County. If an electronic device is being used. It must be used in a “hands-free” manner. Starting today, Tucson Police Department officers will be handing out information cards describing the City of Tucson’s newly revised ordinance requiring the use of hands-free devices when using cell phones and other electronics while driving. This is part of a 30-day educational and warning period before officers start issuing citations for violators in March. The Mayor and Tucson City Council last month approved the ordinance (Item 9) that makes texting and driving and the use of handheld electronic devices by motorists a primary offense in city limits. It had been a secondary offense, meaning officers needed to spot another violation before citing someone. Under the revised ordinance, the civil violation fines are $50 for a first-time offense. A second violation will carry a $100 fine, and future fines will be $200. 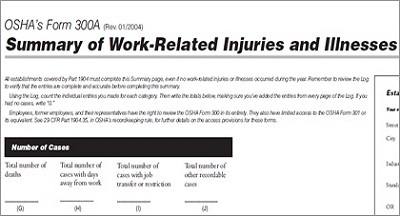 If involved in an accident, the fine will be $250 (even the first time). Deep inside the Mel and Enid Zuckerman College of Public Health building, on the University of Arizona campus, Dr. Leonard Brown and Michael Peltier are preparing to enter the underground enclosed mine.